"The combination of sweet caramelised apple and earthy hazelnuts is heavenly in these puddings. 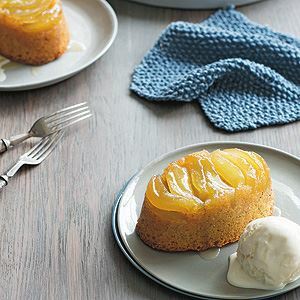 Serve them topped with a generous dollop of cream or a scoop of vanilla ice cream for a truly comforting winter dessert." - Anneka Manning. Preheat the oven to 180°C (350°F) or 160°C (315°F) fan-forced. Brush six 250 ml (9 fl oz/1 cup) capacity ramekins or ovenproof dishes with melted butter. Peel, core and quarter the apples. Cut each quarter into 4 wedges and put in a bowl. 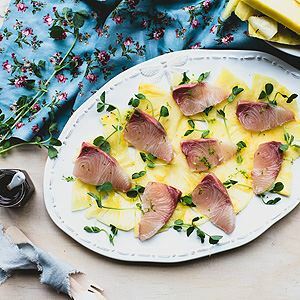 Sprinkle with the lemon juice and toss to coat. Melt the butter in a medium frying pan or wide-based saucepan over high heat until foaming. Add the apple, sprinkle with the sugar and stir for 3–5 minutes, or until it starts to caramelise. Reduce the heat to medium and cook for a further 5 minutes, or until the apple is just tender and a syrup has formed. Remove from the heat and set aside to cool slightly. Meanwhile, use an electric mixer to beat the butter, sugar and vanilla until pale and creamy. Add the eggs one at a time, beating well after each addition. Combine the hazelnut meal and flour. Add to the butter mixture and beat on the lowest possible speed until just combined. Divide evenly and arrange the Caramelised apples over the base of the greased ramekins. Drizzle with any syrup remaining from cooking. Spoon the pudding mixture, dividing evenly, over the top. Smooth the surface with the back of the spoon. Place the ramekins on a baking tray and bake in the preheated oven for 25 minutes or until a skewer inserted in the centre comes out clean. Remove from the oven and leave the puddings in the ramekins to cool slightly for 5 minutes. 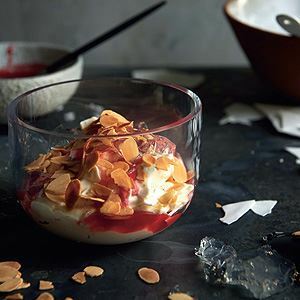 Run a palette knife around the outside of the puddings and invert onto serving plates. Serve warm with ice cream or cream. You can replace the hazelnut meal with almond meal if you like. These puddings are best served straight from the oven but they are also delicious served at room temperature. 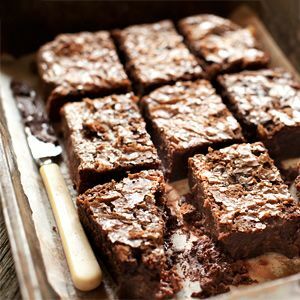 Credits: Recipes and Images from BakeClass by Anneka Manning (Murdoch Books). 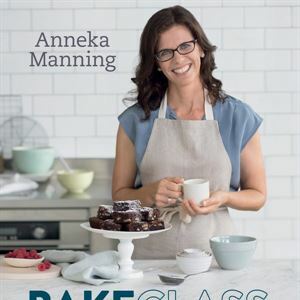 Photo Credits: Recipes and Images from BakeClass by Anneka Manning (Murdoch Books).